This year is getting hotter and hotter. 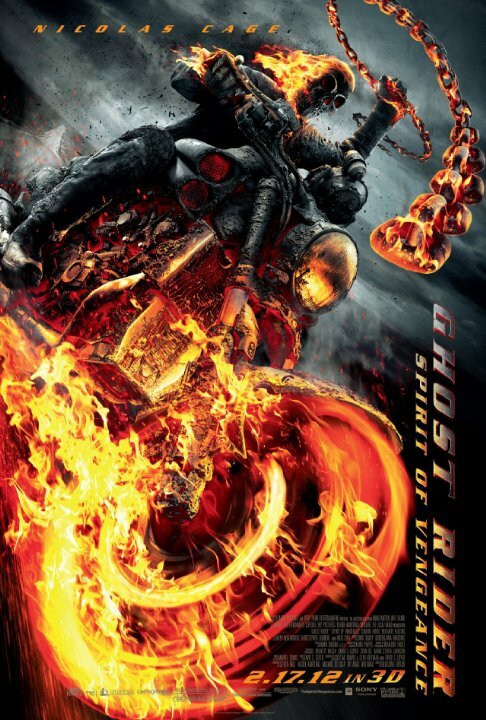 The ghost rider himself look's scary in this film. But in the first movie the rider just look's like a cartoon, and I can say that this film is better then the first one. Pace felt rushed, acting was laughable, poor character development for the kid and antagonists and plot ludicrous. Uninteresting from start to finish. It seems the style was emphasized more than the screenplay. Pure disappointment for a Marvel character. The feeling was like watching a video-game. Good entertainment, perfect for an evening watching movie without using your head. No posts have been made on this movie yet. Be the first to start talking about Ghost Rider: Spirit of Vengeance!